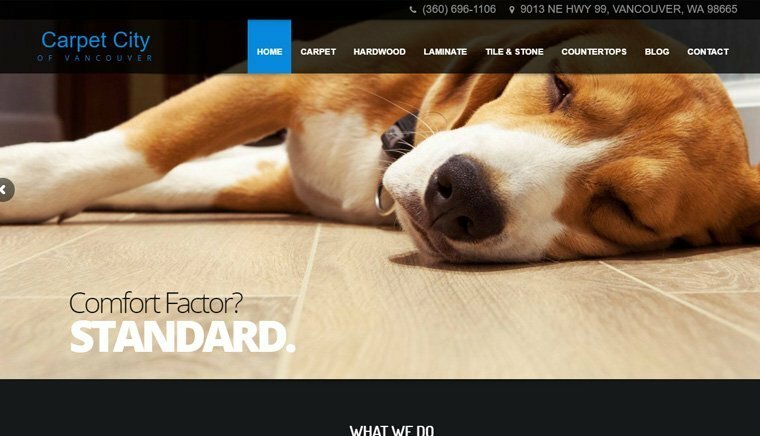 The only kind of website presence this carpet and flooring company in Vancouver WA had was an EZlocal page. This definitely did not make the cut in showing off the family business that’s been a staple in the community for over 30 years. Fastech Solutions wanted to create a new web design for Carpet City of Vancouver that showcased their products the way they were meant to be.